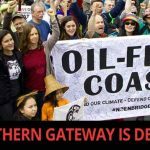 “Sierra Club BC welcomes today’s historic decision by the federal government to put an end, finally, to Enbridge’s Northern Gateway pipeline and tankers proposal. “We also applaud the announcement of a legislated tanker ban on the north coast, although the details remain crucial to its effectiveness. “We condemn in the strongest possible terms the decision to approve Enbridge’s Line 3 and Kinder Morgan’s Trans Mountain pipelines. “B.C. will not be a sacrifice zone for the Prime Minister’s incoherent climate and energy policy and Alberta’s deluded demands for tidewater access. “With this decision, the federal government has come around to what First Nations and British Columbians have been saying for years: B.C.’s north coast is no place for oil tankers, and salmon rivers are no place for a diluted bitumen pipeline. “In the face of intense corporate lobbying and a previous government that thought it could steamroll, intimidate, and muzzle opposition, British Columbians from all walks of life came together, spoke out with the strength of community, and successfully defended what we hold dear. “Let’s be clear, though: Prime Minister Trudeau has picked a fight with British Columbians by approving Kinder Morgan—and it starts now. “The Kinder Morgan pipeline will not be built. Not on our watch. “Communities across B.C. came together to stop Enbridge’s Northern Gateway. The same will happen to stop Kinder Morgan. “Legal challenges have already been filed, and First Nations and municipalities are vowing to do what it takes. “We will not rest until pipelines and tankers are replaced by a truly renewable energy future for B.C. and for Canada. “You cannot be a climate leader and build pipelines. It’s that simple. “Today is the beginning of an epic battle to decide the kind of future we want for our communities, our country, and our climate. “We call on all governments to repudiate the oil-soaked, extractive ways of the past and embrace the transition to a fairer, more just post-carbon economy. 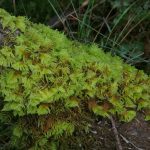 Knight’s Plume Moss Victory: We stopped Enbridge for good!